On July 8th, 2014 I was going to play as a member of Znagez, the amorphous band headed by former Rouper Brian DiSanto and featuring members of Secret Tombs, Psychic Boots, and Ali & the Haitians. 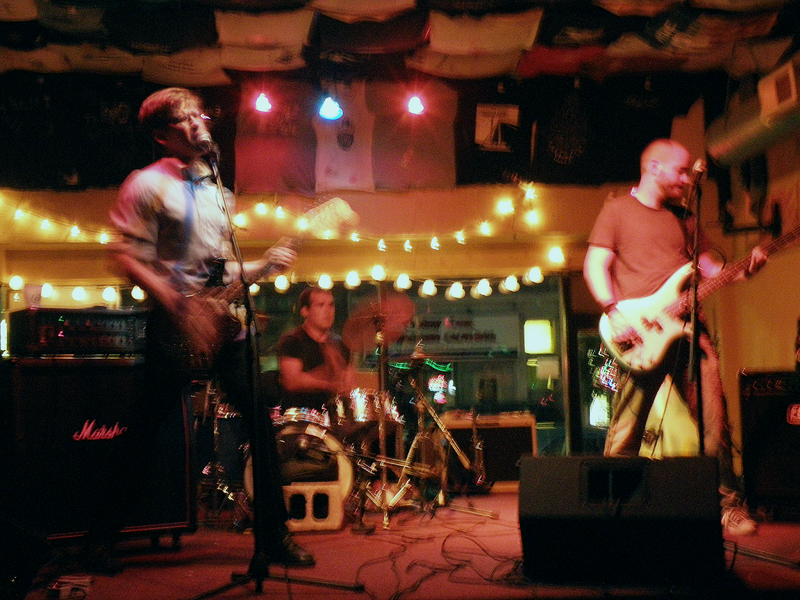 The show was at Howlers and booked by Keith DeVries. Brian had recruited me to fill in a seemingly, but erroneously, deflated lineup. I was really excited to be playing with Znagez! 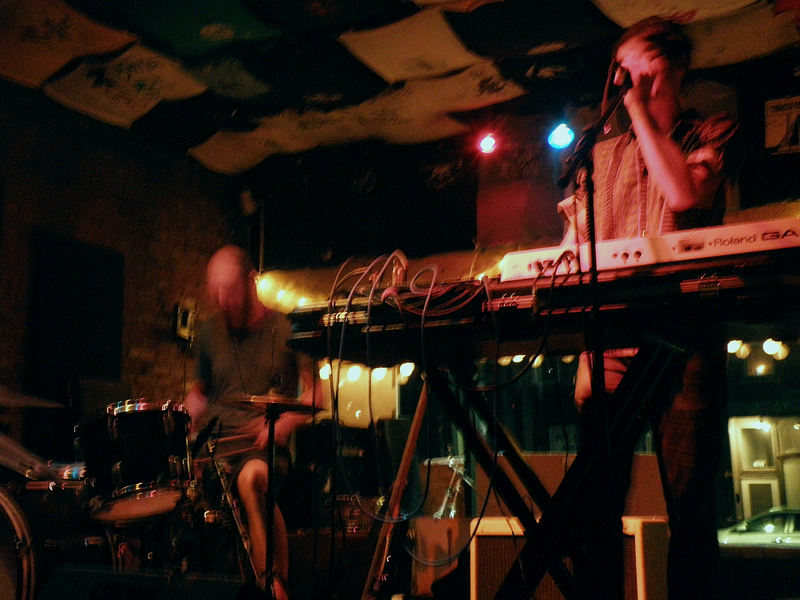 I first saw them earlier this year on April 19th, at SAD Fest III and aglow with neon encased in synth sounds. Earlier in the day I had to work, so I made due with a smaller setup than usual and rode my bike to Howlers afterwards. The first band to play was the very straightforward Wrecked Lexus who I had never heard of before. They played thrashy, but still melodic, punk that bordered on garage rock. I was originally kind of turned off by the band, but by the end of the set I wanted to see more. The frontman looked really cool playing with a jerky motion. Second up was one of the touring bands, You, from Albuquerque, New Mexico. They played some heavy psych rock with some post- or math or emo influence. Their songs had dance beats which I usually hate, but not this time. The guitarist on stage right looked like Efrim Menuck from Silver Mt. Zion and had a huge pedal board. Towards the end You sounded a little like Hawkwind with some really spacey stuff. Pours, who I thought were called Purrs, were third. They were minimalist and jazzy/indie with only a drummer and a guitarist/vocalist/keyboardist. Like You, Pours also had elements of dance in their music, and could be hypnotic at times. They used some interesting sounds at times, dripping water and 8-bit pulses. 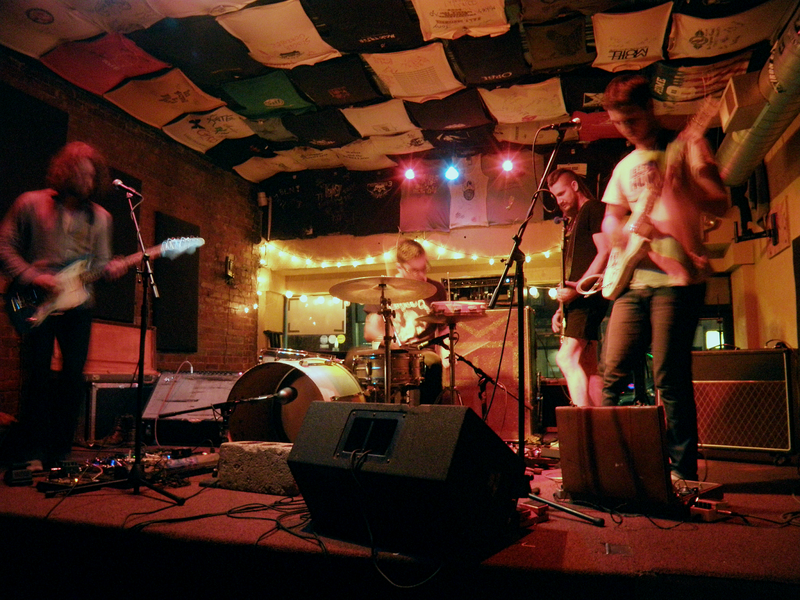 I was reminded of Marcona, Nat Homer's band, who I had played with in Brooklyn in May (more on that in a later post). Znagez played last. We ended up having eight people in the band and causing quite a ruckus. The whole room was filled to see the madness. I brought my smaller travel guitar and three pedals since I had to come from work; I had to use Pours' amp. Andrew played a tiny synth through a tiny amp as he walked through the crowd. Ben Klahr played bass through the PA with Ben Hickling on drums. We also had a drum machine and an additional guitar and synth respectively along with Brian's vocals. I mostly played bursts of white noise, but played some actual chords and stuff when I felt like it would add to the songs. It seemed like a huge mess at the time, but everyone in the crowd seemed to love our set.